JERUSALEM – Despite the series of tax hikes enacted earlier last year, Israeli missed its tax revenue target by millions of shekels in 2012. 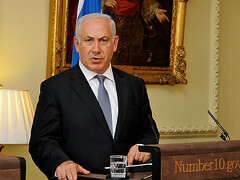 The Ministry of Finance of Israel has launched the year on a low note, releasing a new statement on January 13th which shows that over the course of 2012 tax collections in the country were below target and the national budget deficit was nearly twice as high as planned. According to the Ministry of Finance tax revenues in 2012 were ILS13.7 billion below target, only reaching ILS 218.6 billion. Government spending was also above target, reaching ILS 285.6 billion, compared to the original goal of only ILS 283.4 billion. The reduced tax collections and the increase in government spending has led to budget deficit of 4.2 percent of the national GDP, compared to the government’s own deficit reduction goal of 2 percent. The government had hoped that national tax revenue levels could be boosted through several tax hikes, including an increasing VAT by 1 percent to 17 percent, enacting an extra 2 percent tax on high incomes, and hiking employment taxes.